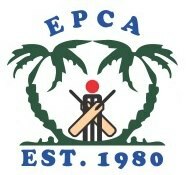 Friends Cricket Club against ECU Line Young Guns. Friends Cricket Club, who won the toss and elected to bat, started strongly through an opening partnership of 262 runs between Sultan Hussain and Ali Hashmi. Sultan Hussain scored 150 runs 6’sX3, 4’sX18 and Ali Hashmi scored 118 Runs 6’sX3, 4’sX12. The duo’s partnership was a successful to record the second win in main league. Chasing a target of 347 Young Guns were all out in 37.3 over’s scoring 306 Runs, Javeed Hussain Hussain and Abdul Azeem took 3 Wkts each.